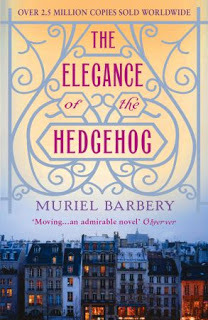 I am currently reading The Elegance of the Hedgehog by French Novelist andProfessor of Philosophy Muriel Barbery. The story revolves mainly around the events in the life of a widow named Renee Michel, who has worked as aConcierge in an upper-middle class Left Bank apartment building at 7 Rue de Grenelle – one of the most elegant streets in Paris for 27 years. The property has been divided into eight luxury apartments, all occupied by distinctly bourgeois families, and also has a courtyard and private garden. Renée Michel eventually meets an unhappy but intellectually precocious girl named Paloma Josse who is the daughter of an upper-class family and also live in one of the luxury appartments at 7 Rue de Grenelle. Renée is an autodidact in literature ad philosophy, but conceals it to keep her job and, she believes, to avoid the condemnation of the builing’s tenants. Likewise, she wants to be alone to avoid her tenants’ curiosity. She effects this by pretending to indulge in concierge-type food and low-quality television, while in her back room she actually enjoys high-quality food, listens to opera, and reads works by Leo Tolstoy and Edmund Husserl. Her perspective is that “to be poor, ugly and, moreover, intelligent condemns one, in our society, to a dark and disillusioned life, a condition one ought to accept at an early age”. Featuring a number of erudite characters, The Elegance of the Hedgehog is full of allusions to literary works, music, films, and paintings. It incorporates themes relating to philosophy,class consciousness, and personal conflict. The events and ideas of the novel are presented through the thoughts and reactions, interleaved throughout the novel, of two narrators, Renée and Paloma. The changes of narrator are marked by switches of typeface. In the case of Paloma, the narration takes the form of her written journal entries and other philosophical reflections; Renée’s story is also told in the first person but more novelistically and in the present tense. Renowned French Novelist Alexandre Dumas was born 24th July1802. His exciting historical novels of high adventure have made him one of the most widely read French authors in the world. 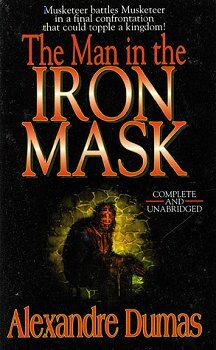 Many of his novels, including The Count of Monte Cristo, The Three Musketeers, Twenty Years After, and The Vicomte de Bragelonne were originally serialized. He also wrote plays and magazine articles and was a prolific correspondent.Born in poverty, in Villers-Cotterêts in the department of Aisne, in Picardy, France, Dumas was the grandson of a French nobleman and a Haitian slave.Although His mother was unable to provide Dumas with much of an education, he read everything he could obtain. His mother’s stories of his father’s bravery during the years of Napoleon I of France inspired Dumas’ vivid imagination for adventure. Although poor, the family had their father’s distinguished reputation and aristocratic position. In 1822, after the restoration of the monarchy, 20-year old Alexandre Dumas moved to Paris, where he worked at the Palais Royal in the office of Louis Philippe, Duke of Orléans.While in Paris, Dumas began writing for magazines and plays for the theatre. His first play, Henry III and His Courts, was produced in 1829, and was met with acclaim. The next year his second play, Christine, was equally popular, and he was financially able to write full-time. In 1830 he participated in the Revolution which ousted Charles X, and which replaced him on the throne with Dumas’ former employer, the Duke of Orléans, who would rule as Louis-Philippe, the Citizen King. After writing more successful plays, he turned his efforts to novels and found that many newspapers wanted serial novels, in 1838 Dumas rewrote one of his plays to create his first serial novel, titled Le Capitaine Paul, which led to his forming a production studio that turned out hundreds of stories, and among his most famous novels are The Conspirators (Le chevalier d’Harmental,),The Nutcracker (Histoire d’un casse-noisette, 1844): a revision of Hoffmann’s story The Nutcracker and the Mouse King, later adapted by Tchaikovsky as a ballet, The Three Musketeers, Twenty Years After, The Corsican Brothers, The Count of Monte Cristo, The Regent’s Daughter, La Reine Margot , The Forty-Five Guardsmen and The Black Tulip. From 1839 to 1841, Dumas, with the assistance of several friends, compiled Celebrated Crimes, an eight-volume collection of essays on famous criminals and crimes from European history, Dumas also collaborated with his fencing master Augustin Grisier in his 1840 novel, The Fencing Master, which was eventually banned in Russia by Czar Nicholas I, causing Dumas to be banned from visiting Russia until after the Czar’s death.Sadly after King Louis-Philippe of France was ousted in a revolt, Dumas was not looked upon favorably by the newly elected President, Louis-Napoléon Bonaparte as a result Dumas fled to Brussels in 1851, to escape his creditors, and from there he traveled to Russia, where French was the second language, and where his writings were enormously popular. Dumas spent two years in Russia, before moving on to seek adventure and fodder for more stories. In March 1861 the kingdom of Italy was proclaimed, with Victor Emmanuel II as its king. For the next three years Alexandre Dumas would be involved in the fight for a united Italy, founding and leading a newspaper, named Indipendente, and returning to Paris in 1864. Dumas sadly passed away on 5 December 1870 and although he was originally buried where he had been born, in 2002 French President, Jacques Chirac, had his body exhumed. During a televised ceremony his new coffin, draped in a blue velvet cloth and flanked by four Republican Guards (costumed as the Musketeers—Athos, Porthos, Aramis, and D’Artagnan), was transported in a solemn procession to the Panthéon of Paris, the great mausoleum where French luminaries are interred. In June 2005, Dumas’ recently discovered last novel, The Knight of Sainte-Hermine, went on sale in France. Within the story Dumas describes the Battle of Trafalgar, in which the death of Lord Nelson is explained. The novel was being published serially, and was nearly complete at the time of his death. A final two-and-a-half chapters were written by modern-day Dumas scholar Claude Schopp, who based his efforts on Dumas’ pre-writing notes, Alexandre Dumas’ home outside of Paris, the Château de Monte-Cristo, has also been restored and is open to the public and The Alexandre Dumas Paris Métro station was named in his honour in 1970.